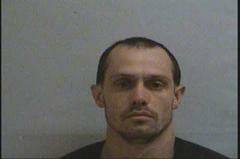 Deputy Jesse Hicks of the McDowell County Sheriff’s Office charged Samuel Kodie Ingle, 31, address listed as Carolina Avenue Extension in Marion, with possession of methamphetamine. At 11:30 p.m. on Thursday, Jan. 3, Hicks stopped a Toyota Camry on Airport Road due to tag violations. Ingle was a passenger in the automobile. A subsequent search of his person turned up 8 grams of methamphetamine.